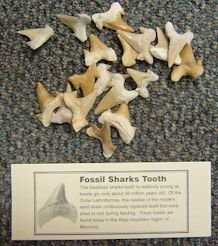 These fossilized teeth are in excellent to poor condition and include vertabrae, gills and other surprises. Also available individually. See separate entry.